Milwaukee’s power tools are a favorite of many handymen, and for a good reason. This company is one of the best manufacturers of power tools in the world, rivaled only by names like Bosch, DeWalt, and Makita. Today, we decided to take a look at their popular drill press – the Milwaukee Compact Electromagnetic Drill Press 4270-21. Sporting a competitive price, this machine is a premium drill press, and as such comes with enough power to deal with a myriad of drilling applications. Other than that, the unit is also very easy to use and has a durable construction, which is precisely what we expected at this price. Knowing that there are many people who’d like to buy a drill press but don’t know a lot about these things, we’ve decided to analyze this unit and see if it’s really the best of the best. Read on! Those who have to deal with remote drilling in metal will find the Milwaukee 4270-21 as a very convenient power tool. Due to its robust 9.0 AMP engine, this press drill handles even the toughest applications with ease – it is as fast and efficient as it gets. Fortunately, the power was not traded for portability, as 4270-21 is still lightweight enough to be easy to maneuver and transport from one job to another. It comes equipped with a plethora of helpful features, such as the tool-less feed handle, the straightforward control panel, or the strong two-coil magnet with a considerable deadlift force. Like we said, this drill press weighs only 26.5 pounds and as such is one of the most lightweight press drills on the market. This slim profile is guaranteed to be helpful when it comes to working in tight areas, and, when combined with the built-in carrying handle, allows easy transportation of the device from one job site to another. The ease of operation deserves only words of praise – the two-button control panel allows convenient and comfortable operation even for the beginners. The thing that enables this drill to stay in place while you’re working is its strong two-coil magnet. With 2,300 pounds of deadlift force, one can expect only the highest level of performance and productivity. Another part of the design we liked is the tool-less feed handle. Just like we expected, it can be mounted on either side of the unit when required. The 9.0 AMP motor (1.1 max horsepower) of this unit is among the strongest ones when it comes to press drills. It allows effortless drilling through thick steel and tackling heavy-duty projects, making the machine a suitable choice for the professional contractors. The drilling capacity and depth also deserve praise – the unit can drill up to 1-1/2″ diameter holes like a hot knife through butter. Compatibility is not an issue here, as the model accepts regular 3/4″ Weldon shank cutters, while its chuck (3-jaw) allows connecting twist bits. Just like many other power tools manufactured by Milwaukee, this one also comes with a 5-year limited warranty. This is among the best warranty deals on the market and certainly one of the unit’s selling points. Milwaukee was quite generous with the accessories, too – along with the unit, you’ll also get a bottle of lubricant spray, two hex wrenches, a nylon safety strap, and a sturdy carrying case for the storage of all those items. The first thing that impressed us was the overall design of this drill press. The Milwaukee 4270-21 is not only light in weight, but also very easy to operate thanks to its set of basic controls. Managing this unit and moving it from one place to another is exceptionally easy, and that’s always a big plus in our book. Furthermore, we were quite pleased with the machine’s performance. 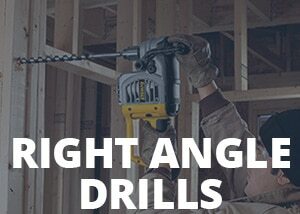 During our time with this drill, we’ve tested it on several different materials, and the results were more than satisfactory – 4270-21 works beautifully! It has a great depth capacity and will allow you to tackle even the most heavy-duty projects. We liked that the unit comes with a 5-year warranty and some handy accessories, as that shows that Milwaukee cares about its users and that it’s confident about the durability of its tools. The included cord is only 8 feet long, which is sure to restrict your movement at some point. It will be sufficient for most tasks, but we still think that Milwaukee should have been more generous with the length of the included cable. The fact that this is a premium press drill comes with a particular disadvantage – the high price. Those with tighter budgets will be disappointed, with the price tag keeping this machine out of their reach. The compact size and the powerful motor of this unit were met with praises from the users, who are saying that Milwaukee 4270-21 drill press is worth every cent of its price. The general impression is that this unit has one of the best designs on the market, with a slim profile that allows easy maneuvering and makes the device very portable. Another highly praised thing is the heavy-duty motor that works like a clock and provides excellent performance. Users are glad they bought this drill and are happy to recommend it to their friends and acquaintances. The ever-reliable Milwaukee has once again managed to leave us impressed – the Milwaukee Compact Electromagnetic Drill Press 4270-21 is, without a doubt, one of the best mag press drills on today’s market. Its power and portability, combined with features that both home tradesman and professional contractors will find appealing, are bound to make this device immensely popular in the upcoming months. Highly recommended!